True stories of excitement and adventure from the time when ocean steamers plied their trade to the far-flung corners of the globe. British ships were once to be found in every corner of the world with harbours offering a safe haven to ocean-weary ships. In the majority of cases these voyages from harbour to harbour were uneventful but, with so many ships plying the world's trade routes, it was inevitable that sometimes an ordinary voyage became dramatic and full of incident. Newspapers generally had a shipping correspondent who provided a daily report of ships' movements, but if a ship entered harbour with the news of an unusual voyage, the details were quickly given space in the newspaper. In those times, the shipping news was avidly read and reports often included photographs of ships in distress along with first-hand descriptions from those on board. 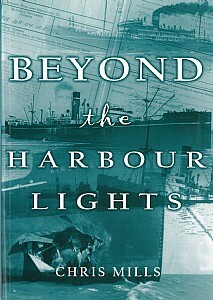 The author has supplemented a selection of contemporary newspaper articles, mainly from the 1920s and 1930s, with background information from other sources such as the reports of Marine Courts of Inquiry, extracts from ships' log books, and references to crew agreements, law reports and published narratives by ships' masters. A few imaginative details have been added, but the stories are all firmly based on true events as reported and recorded at the time. This book is ideal for anyone interested in true stories of ships and the sea, maritime history or wishing to enjoy a good read.